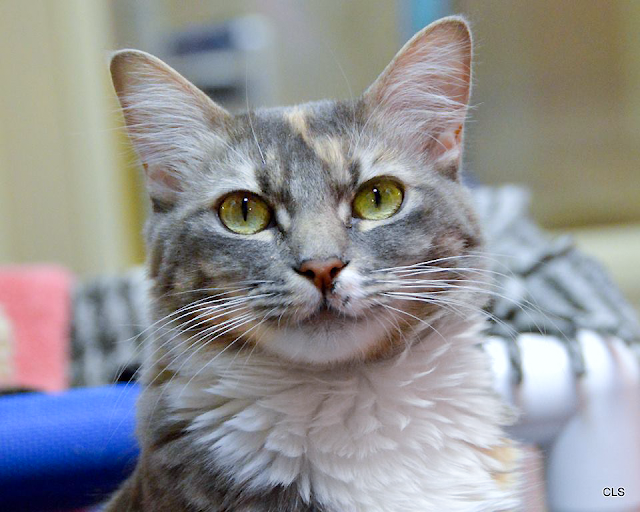 My name is Carolyn and I'm one of the most beautiful girls at Wayside, or so I've been told." 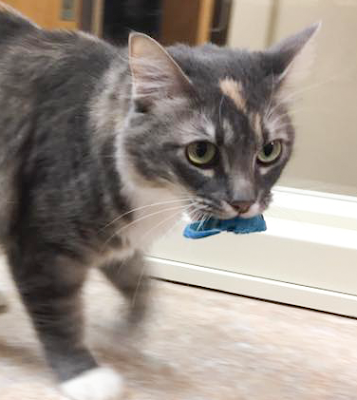 "I'm a dilute tuxedo torbie, which means I have some tabby stripes, beautiful blue-gray and apricot spots, and a white bib, boots and gloves. So I'm perfectly dressed for any occasion." 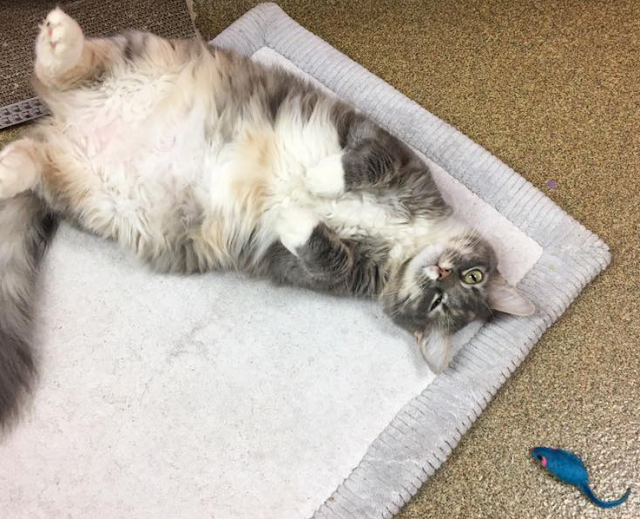 "I came to Wayside from another shelter that was low on space, and I'm thrilled to be here, where I just know I will find my forever home - and loads of belly rubs." 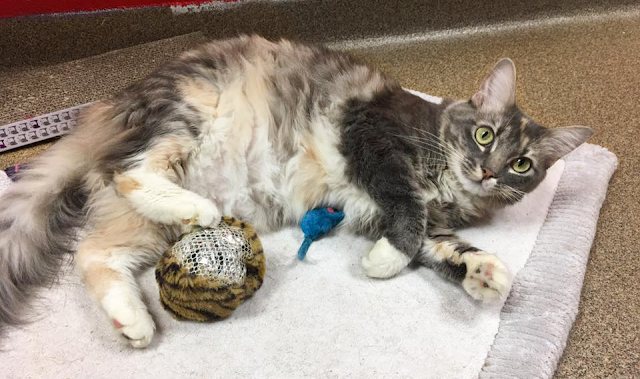 "I'm a sweet kitty who enjoys attention. I'm not fond of being picked up, though. For that reason, I shouldn't live in a home with children under age 5. Little kids, you see, don't always follow a kitty's wishes. I looove hanging out with other cats, though." "What else would you like to know about me? I have an adorable little meow, a nice purr - and I know how to wink! (see Exhibit A, above)." If you're looking to start off 2017 with a sweet, beautiful new friend, please come to Wayside and ask for me! 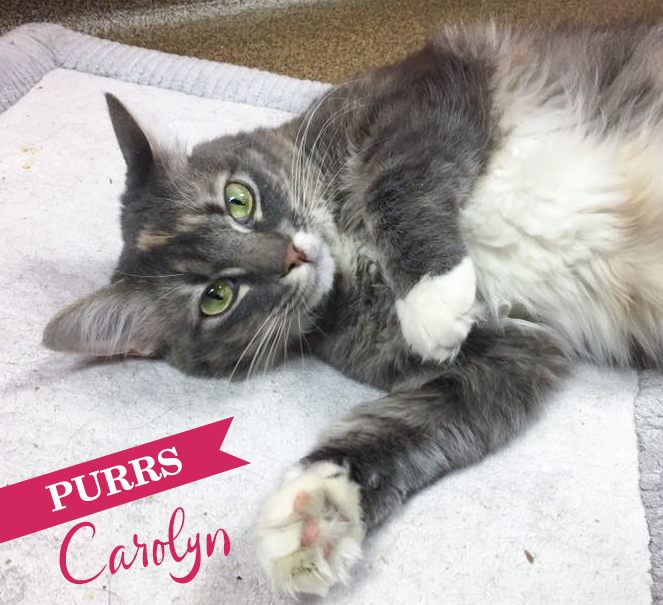 Carolyn's available and ready to settle in with her new humans, at Allie's Alma Mater, Wayside Waifs. One gorgeous gal.....good luck finding your Forever Carolyn.....I have a feeling it will be soon! OMC, Carolyn is adorable! I do get the not being picked up part - that happens to me with kids, being a therapy cat, and while it's not one of my favorite parts, I do tolerate it. Oh you are an absolute sweetie! Carolyn is gorgeous, I hope she gets a forever home soon. You are simply exquisite, Carolyn!!! What a beautiful kitty you are, Carolyn! 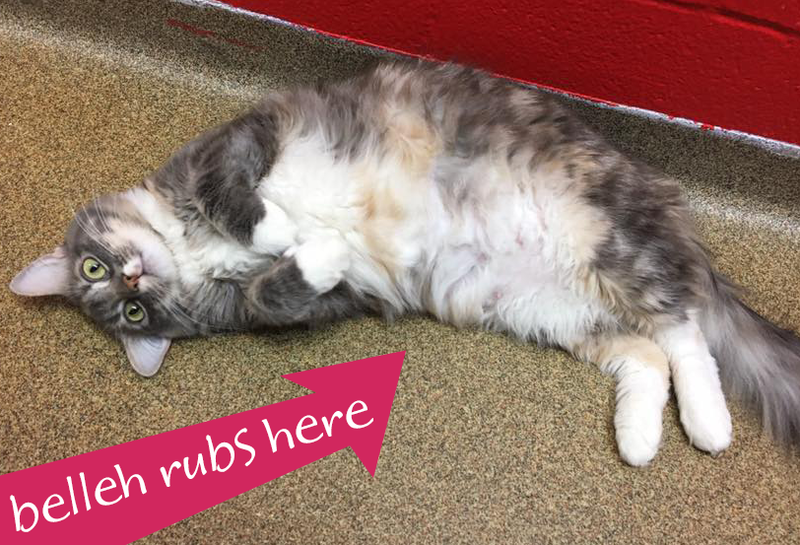 And with your super friendly attitude, we bet you'll find that forever home real soon. Paws crossed! Hope she finds her purrfect den!